Electrolyte replacement during exercise can vary as much as tenfold between two athletes. No other area of endurance nutrition or supplementation calls for such individualised dosing, and perhaps no other area of fueling can drop you out of the competition as quickly as electrolyte depletion or overdose. This is a critically important area where correct dosage is a must; you simply musn’t consider getting electrolytes out of a premixed drink. The risk of too much fluid and too few electrolytes is high, which is not good for your stomach, muscles, or performance. You want a product that allows effective electrolyte replenishment under any weather condition, any length of exercise, and any intensity of exercise. Endurolytes, unlike any other pill, tablet, or premixed drink, is that product. Also, don’t make the mistake of thinking that electrolytes = sodium. Sodium alone cannot and will not effectively replenish electrolyte needs and may cause more problems than it resolves. With Endurolytes you’re assured of getting all of the right minerals in exactly the right balance. Cramping is your body’s final warning signal that you’re on empty electrolyte-wise. When you’ve reached that point, the performance of many bodily systems has been severely compromised for some time. To keep your muscular, digestive, nervous, and cardiac systems firing on all cylinders, you need a consistent supply of all of the electrolytic minerals, not just sodium and potassium. Plus, in many instances, you require greater volumes of electrolytes than any sports drink or gel can provide. 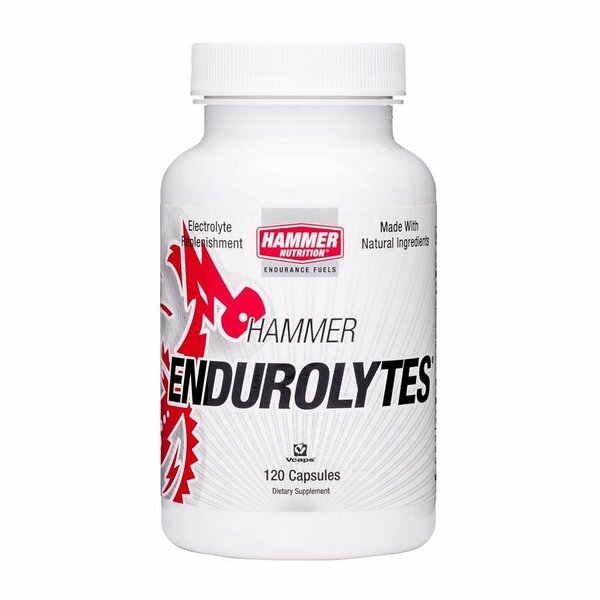 That is why Endurolytes fulfills such a crucial component of your fueling by supplying your body with a balanced, full-spectrum, rapidly assimilated electrolyte source, allowing you to meet your widely variable electrolyte needs with tremendous precision, hour after hour, no matter what the weather throws at you. 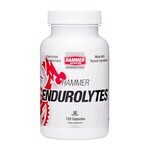 Use prior to, during, and after workouts to satisfy the body’s electrolyte requirements with maximum precision. Temperature and humidity is 4 degrees or more above what you are accustomed to. Many variables – body weight, fitness level, weather conditions, acclimatization level, and physiological predisposition – affect individual electrolyte requirements, so you must do your own trials with Endurolytes dosing, under a variety of conditions, to determine what your individual needs are.